Eco-friendly and fun, the Amish Eco Friendly Apple Basket offers a storage container like no other. Eco-friendly because it's made of 100% recycled plastics and fun because it can hold a full bushel of anything from bright red apples to fresh vegetables or serve as an attractive waste basket or bathroom hand towel holder. 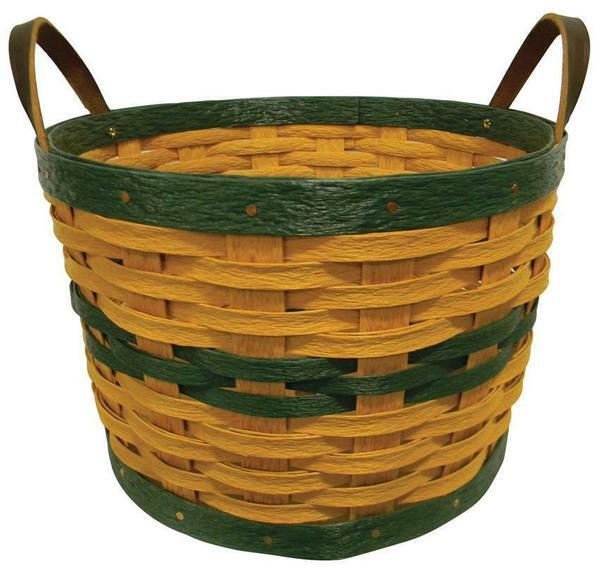 This eco-friendly basket is hand woven by skilled Amish craftsmen. It stands 10" high and can be used inside our outside. Being made of durable, colorful, recycled plastic means it will not warp, crack or rot out in the elements. This is the perfect gift for a green household. Stock up for your home and be sure to grab one for a friend. Browse our incredible poly furniture for the very best eco-friendly options for your outdoor furniture collection. For more eco-friendly products and gifts, be sure to view our Unwined Soy Candle Collection and Goats Milk Soap Products.